Below is the list of artists we are currently working with, if you are interested in commissioning a planter for that special someone or event, we can help out with that too. Please keep in mind we are a Melbourne-based business, so we only sell to local buyers as postage is too risky. Drop us a line over on our contact page if you're interested to know more. Silk Roy is always styling up something fresh for your visual pleasure. 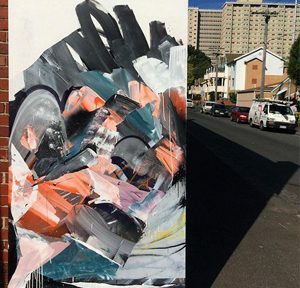 This smooth multi-disciplinary artist from Melbourne definitely knows the ins and outs of a roller and his way around a spray can. Chehehe is an Arts Hole resident, WEWF crew member and crazy robotico extraordinaire from the Planet Che. 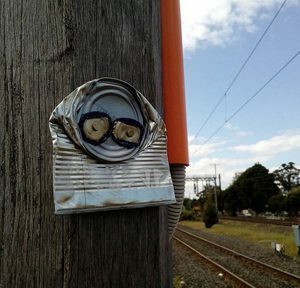 He's always up for a creative challenge, converting objects into custom chebotic peices. All round nice guy Ruskidd applies his trade from the Blender Studios in Docklands. 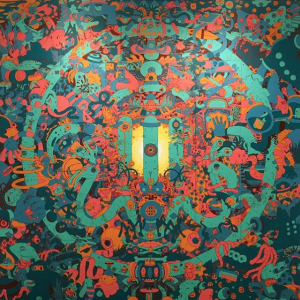 His work engages the viewer with vibrant uplifting colours, free flowing organic lines and recurring motifs. 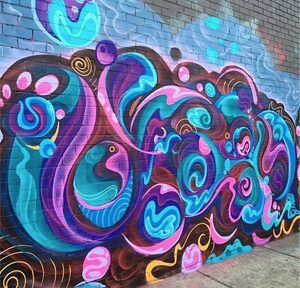 He is always painting up a storm around the streets of Melbourne. 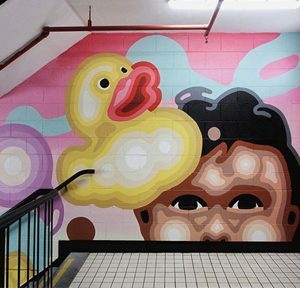 Junky Projects hails from the Blender Studios in Docklands and is an aficionado of giving street art tours around the streets and alleyways of Melbourne. JP works in multiple mediums whilst utilising waste and recycled materials as the principle material for his art. 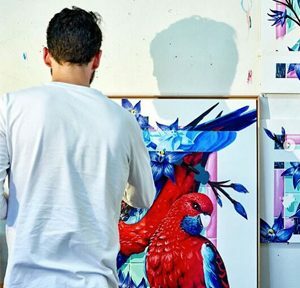 DNART is a self taught artist from Bordeaux, France that currently resides here in beautiful Melbourne. 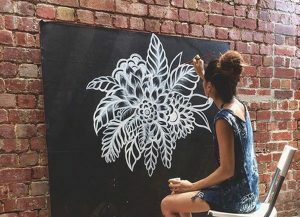 Her normal day consists of drawing, making jewellery, making videos and building a community of street artists... learning new things everyday. 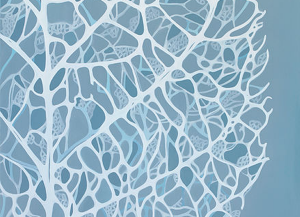 This fine artist has developed a practice which looks into the delicate patterns and forms found in nature in a way which seeks to draw attention to the intricacies and inherent beauty present in our environment and in the internal structures of the organic. 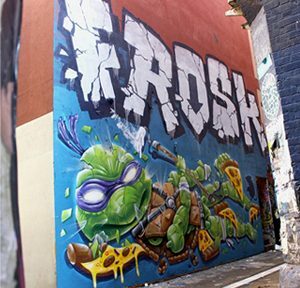 Crisis, originally from Sydney but now a true blue Melbournite, is another Arts Hole and WEWF crew member. Give this man an idea and he will run with it and you will see it come to life before your very eyes. Facter, the man behind the brilliant Invurt has skills across the board. 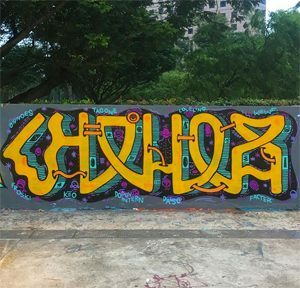 He's great with words, a whiz behind the camera and very talented with a spray can. When he's not working, he's working. Poise by name, poise by nature. 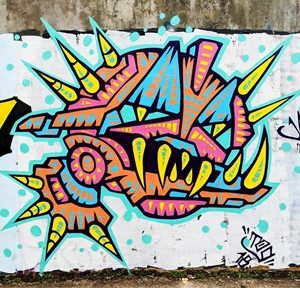 This self-taught graffiti artist was born with a crayon in her hand, upgraded to a spray can and never looked back. 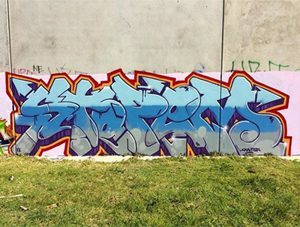 Stopem loves a good trackside and getting up around the globe. Seen all over Melbourne, Australia, Europe, Singapore, Japan, Indonesia, the list goes on. Mitch Walder aka Mit is another brother from The Arts Hole and a WEWF crew member. Let you imagination fly and get lost in this intricate artists work, he really knows how to tell a story with a pen, a brush or spray can. The Arts Hole forms like Voltron, and Ohnoes happens to be the head. Getting down with graphic design, illustration, painting, aerosol art, digital and hand screen printing for the purpose of prints and apparel. 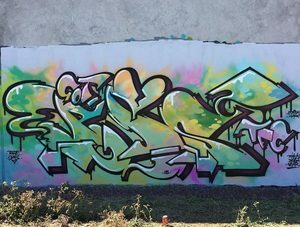 Frosk is an authorised aerosol technician hailing from the land of the Long White Cloud. This talented man of mystery has a thing for iconic toys and breaking them into little pieces for you to feast your eyes on in his art. He's always on the look out for locations for his next masterpiece. 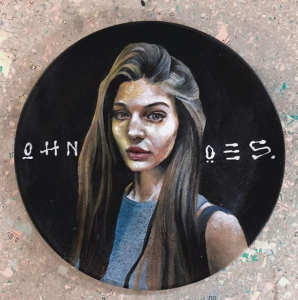 Kenz's works are mostly influenced with the stages of dreaming, conscious/unconscious state of minds, which are expressed through a palette of soft tones with bold round line works and shapes.he is attracted to this as he believes they represent dynamic expression well. 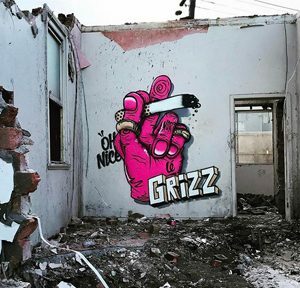 Le Grizz, an illustrator specialising in murals, maker of fine apparel and self proclaimed 'cheeky muppet' is always on the go. This high-fivng, beer drinking, whisky pouring champion gets his kicks doing what he does best, art.